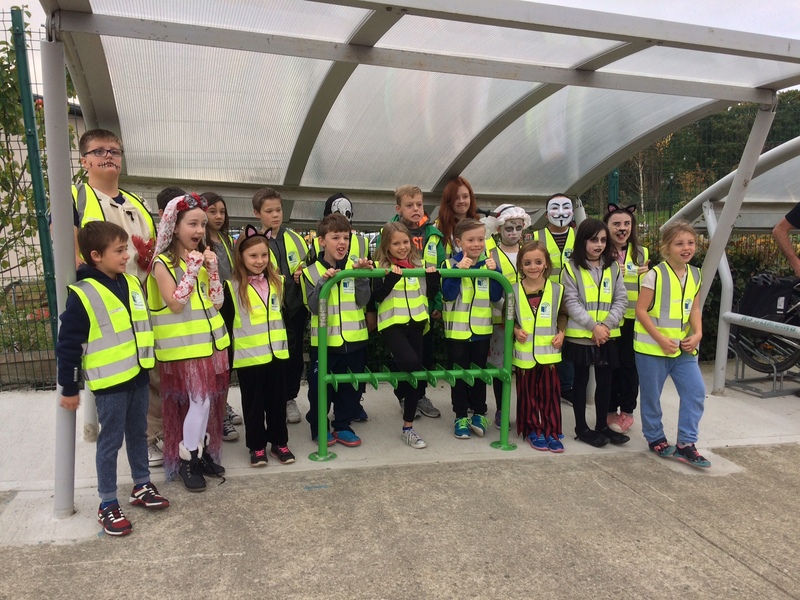 The GETNS Greens Schools Committee 2016 launched our new scooter parking recently. We now have parking for up to 18 scooters, just inside our school gates, alongside our existing bicycle parking. This is a great way of travelling to school and will also keep you fit and healthy. 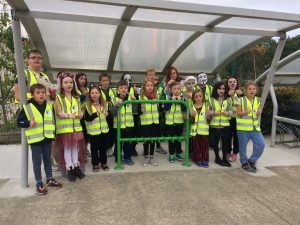 Noeleen, from An Taisce also gave a presentation to first and second classes recently about scooter safety on our roads. She highlighted the importance of wearing helmets and how to stop safely while on the scooter.